It has been one whirlwind of a year for young up-and-coming female country music singer songwriter, Caroline Marquard. From releasing her very first single to the world last summer,gearing up for new music, and many more new things for fans in 2019. Marquard, originally from Switzerland, is now a Tennessee native. 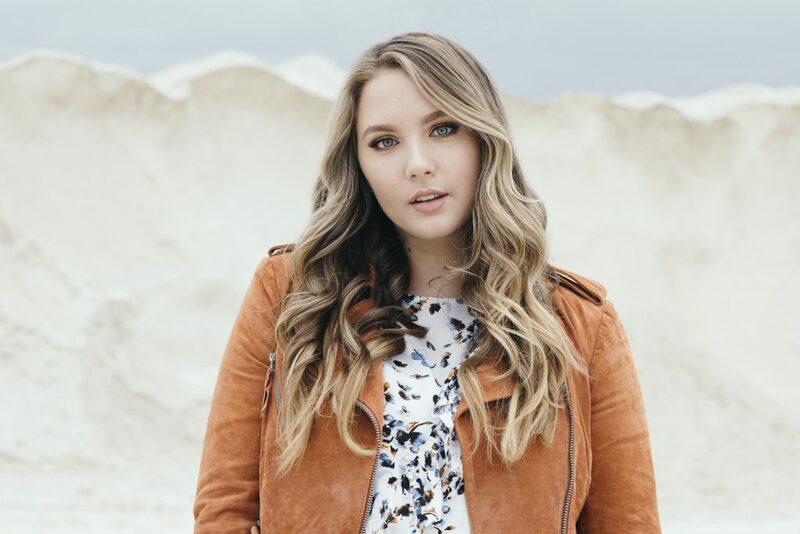 We recently got to chat with her about her new single, “Not A Rolling Stone” and what it’s like being a songwriter as well as a singer, some of her musical influences that inspire her, and what she hopes her fans take away from her music. CMP: Congratulations on your new single, “Not A Rolling Stone”! Can you tell us your inspiration for the song and how it came to fruition? CM: Thank you! So, the inspiration behind the song is really about reminding yourself that you’re strong and can make it through anything. I loved writing it in LA with Chris Seefried and then recorded it in Nashville with Jordan Lehning and Jase Blankfort! CMP: Who would you consider your musical icons, who influence you the most in your music? CM: I love Taylor Swift and Kacey Musgraves! CMP: If you could do a duet with anyone, who would it be (if you haven’t already done it!)? CM: I’d love to duet with a band like Coldplay or even Lady Gaga! CMP: What has been the highlight of your career so far, your most memorable moment? CM: I’d say releasing my first single! It was such a long time coming, that it was pretty surreal when that day finally came. CMP: What would you like for your fans get out of your music? CM: I want my fans to feel understood and that they aren’t alone. I know that’s what writing and playing music is for me; so I’d love them to get that out of listening to my songs too. CMP: We feel great things are going to continue to come for you. Where would you like to see yourself in the next 5 years as an artist? CM: Thank you so much! I’d love to have released a full length album and be touring around the world with it! That’s the dream. CMP: We always like to know, what is something fun your fans may not know about you or you would like them to know about you? CM: A lot of people don’t know that I’m a triplet! I have two sisters that are my same age, we were all born 2 minutes apart! We don’t look alike though, so a lot of people think we’re just friends.